Get your eyes off your lack and inadequacies by getting a fresh revelation of how God has already crowned you with glory and honor, and encircled you with His favor! Join Joseph Prince in this powerful message for 2011-you'll rejoice to know that God has already crowned your year with His goodness and abundance. Learn to be conscious of what He has crowned you with and watch all negativity, sickness and depression leave your life. Discover also how your paths this year will drip undeniably with God's abundance the more you listen and listen to the finished work of Jesus! 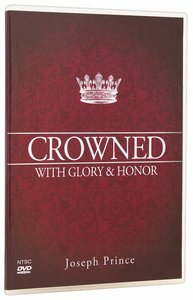 About "Crowned With Glory and Honor"